As much as we love makeup, it can sometimes be a huge struggle. Whether you’re trying to rid your skin of impurities or contour like a pro, the art of makeup has its challenges. A Mag sat down with some of our favorite college makeup enthusiasts as they dished on their daily routines, products and secret tips. A Mag: What does your everyday makeup routine consist of? SM: My everyday full-face consists of eyebrows, foundation, lashes and lips. A Mag: What’s your must have product? SM: My must have product would definitely be an eyebrow pencil. The eyebrow pencil I’m using right now is Colourpop’s in black/brown. I also like Mac’s eyebrow pencil. My other must haves are any lash or lip products. If I’m not going to wear anything else, I wear those three products. 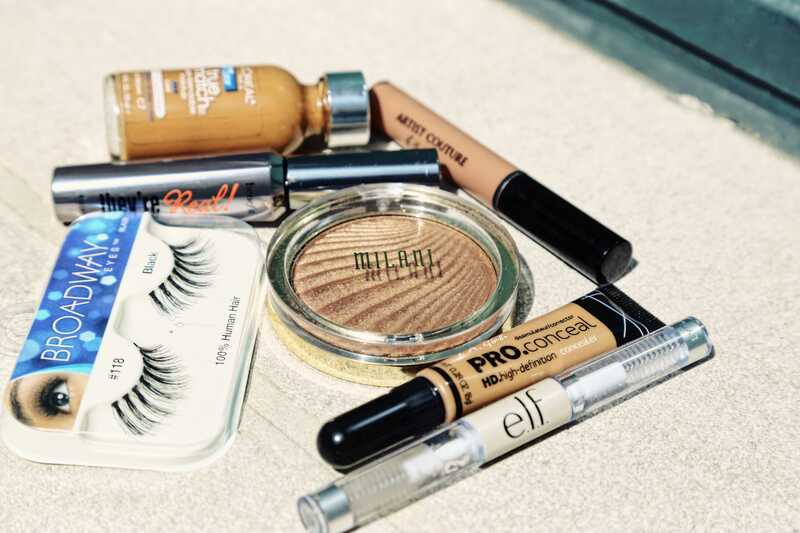 A Mag: What’s a few of your favorite drugstore products or makeup products? SM: I really love L’Oreal True Match Foundation or Maybelline Fit Me Foundation. For setting your face, Coty Airspun powder is at Walmart for $5. Black Radiance also has really great things for brown skin girls. Lip products can go all the way around because there’s so many good products from Maybelline or Covergirl. The highlighter that I’m wearing from Milani; it’s a really great highlighter. A Mag: What is your makeup niche? SM: I focus more on the eyes because that’s the main focal point of the face. Skin is also something I focus; that’s very important because it’s literally the foundation of your face. A Mag: What tips would you give beginners trying to achieve the perfect everyday look? SM: I think that watching videos help because you have to see it to really understand it. A good tip is just to try your best, but to also pay attention to lighting; lighting can mess you up completely. You definitely want to try things before you go out so that you don’t embarrass yourself. Practice makes perfect. I didn’t start off good, and no one did; it’s just practice. DS: Everyday when I wake up, the first thing I do is use Clinique’s moisturizer. My skin is very dry, so that’s my go-to, and I put that on before primer. I usually only save primer for special occasions, so for normal everyday, I use a BB cream foundation. I have a Lorac cream contour kit that I use. The yellow is perfect for under my eyes, and I use the two other shades as concealer on any other spots. From there, I use a translucent powder and Benefit’s Do the Hula bronzer. As far as my brows, I always use the Anastasia Beverly Hills Dipbrow Pomade because I have very light hair naturally, so I have practically no eyebrow hair. This lets me paint them without looking too cakey. From there, I always do a winged eyeliner. I use the Stila Stay All Day eyeliner pen. Then, I use the L’oreal Volumizing Mascara. DS: My favorite product has got to be the Anastasia Beverly Hills Dipbrow Pomade because it saves my life. I use it in soft brown; I have very light hairs and I like my brows to make more of a statement. This is a good dark color without getting too dark brown or black. My sister has brown hair and she steals it from me, so it works with a variety of skin tones and hair colors. DS: The BB cream that I use is by Covergirl. I use it everyday, and I use my fingers to apply it and smear it all over; it works better than most name brands. I love E.L.F., of course. I have all of their brushes; they are fantastic. The Loreal mascara is great. I used to use my mom’s and now I’m buying it on my own and it’s the best. DS: Find out what works for you. There is so much trial and error that I went through. I think back to when I was 13 when I only put eyeliner on the bottom (lol). Experiment and find out what works for you, and always use moisturizer – even when you think you don’t need it. BM: Usually my eyebrows, foundation, concealer, lashes, mascara, lipstick and highlighter. BM: Definitely my MAC Fix Plus because it makes my makeup last longer. I have to use a primer everyday just to make sure my dry patches don’t show. A Mag: What’s your favorite lipstick? BM: My favorite high-end brand is MAC. I’ve grown up on MAC because my mom always used it. My favorite lipsticks that are on the cheaper side are by Colourpop. BM: Maybelline; I use their mascara. I use NYX’s dipbrow every single day, and I love E.L.F’s brushes just because they’re so affordable. BM: I would say, watching YouTube videos. I recommend looking up starter makeup videos for beginners. I personally have a couple YouTubers that I watch everyday. I always watch JeffreeStar, ItsMyRayeRaye and SimplyNessa15.